Dallas Personal Trainer - If you train with a Dallas Personal Trainer then more than likely, at some point you will perform this exercise. 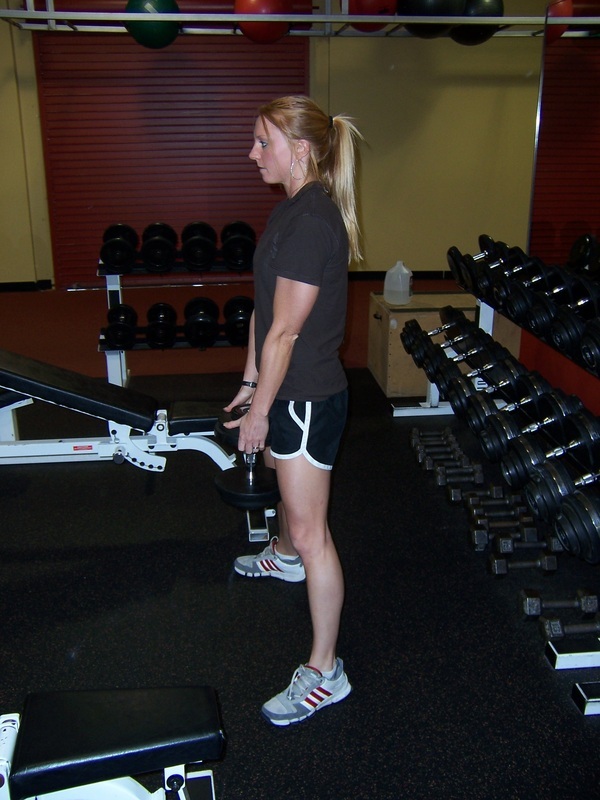 Set a dumbbell up on one end on the ground and stand over it with your feet several inches outside shoulder width and your toes pointed slightly outward. Lean and squat down, grip one hand on each side of the top side of the dumbbell and stand up by pushing your hips forward and attempting to push your feet through the floor. Make sure to keep your core tight (as though you are bracing for a punch to the stomach) and make sure that you keep the weight close to you body as you lift it up. Do not try to lift the weight by contracting your lower back muscles. These muscles should stay straight to stabilize the spine, while your glutes (your rear end), quads (front of the thigh), and hamstrings (back of the thigh) do the actual lifting. Keep the muscles in your entire body tight throughout the movement and keep your weight firmly planted on your heels rather than your toes. At the top of the movement when you are standing up completely straight, contract you glutes further by pushing your hips forward into the weight. Lower the weight with the same control as you lifted it, making sure to keep the dumbbell close to your body and your core tight as though you are bracing for a punch to the stomach.